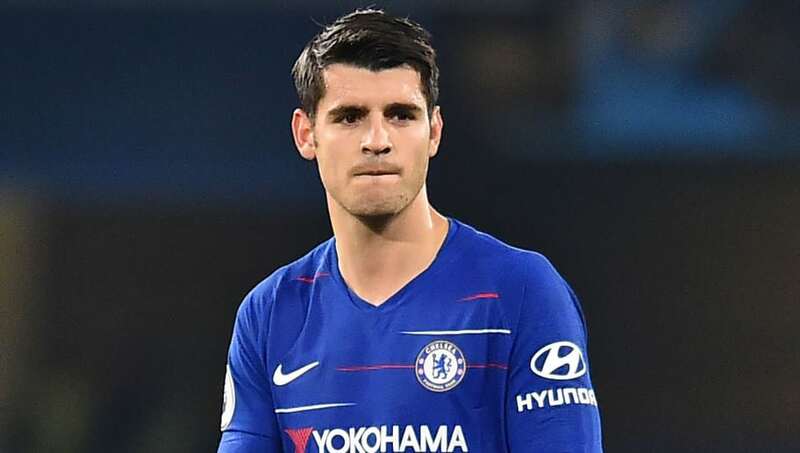 ​Chelsea manager Maurizio Sarri has explained why striker Alvaro Morata has not travelled with the rest of the squad to Belarus for the Europa League clash with BATE Borisov, insisting the Spaniard needs a rest after his heavy involvement of late. "Morata stayed at Cobham just to rest and to have training because he played very often in the last period," the boss explained as he justified his decision, via ChelseaFC.com. "I think it's better for him to stay fit, with two or three training sessions, than only with matches. It's normal for a player to play three matches and then rest for one, otherwise we could have a squad with only 13 or 14 players," he added. "Sometimes it's better for the players to train rather than just play, to train on some particular physical qualities. If they only play they will lose that physical quality they need, and that's been proved scientifically over a 21-day period." Eden Hazard is part of the 19-man Chelsea squad that made the trip. The Belgian made his return from a three-game injury absence in the win over Burnley at the weekend. And while Sarri admits his star won't play 90 minutes, there is no risk attached to him being involved. "According to our doctor there is not any risk, otherwise he would have stayed at Cobham, of course. We felt that for him it’s better to play, not for 90 minutes, but to play after two weeks of not playing," the Italian coach explained. "In the last match he played only for 30 minutes. The best way for him is that [on Thursday] he will play for 45 or 50 minutes."